Albuquerque, NM- As we conclude this united prayer and fasting campaign to end abortion in New Mexico, trusting the words of Jesus (Matthew 17:14-21) that some deeply entrenched demonic strongholds can only be cast out, “except by prayer and fasting.” Over the past 7 weeks we have seen droughts broken, the desire to break generational curses from a member of Curtis Boyd’s family, confirmation of an investigation by the New Mexico Medical Board into the abortion related death of a local woman at the hands of late term abortionist Curtis Boyd, this effort has crossed the border from New Mexico into Texas the birthplace of abortion and the birthplace of Boyd’s baby killing empire. We believe strongholds are being broken by the Lord as we have prayed and fasted together in this united effort! One thing that is sorely lacking in New Mexico as we move forward is the need for bold pro-life leadership in state government. This week we stood in solidarity with Congressman Steve Pearce as the pro-life candidate for Governor which represents a positive shift that even local media recognizes as significant. As we wrap up this initial prayer and fasting effort we want to make sure that what has been cast out as a result of these efforts is not replaced with that which is more evil as is described in Matthew 12. We must replace the evil with good righteous leaders and continue to keep pro-life efforts united with the goal of ending all abortions in New Mexico ensuring that every pre-born child is valued and protected. Please join with us in this last week of prayer and fasting asking the Lord to appoint pro-life leaders to fill the void in state leadership as we approach the upcoming election later this year. For the New Mexico Medical Board’s investigation into Curtis Boyd’s involvement in the late term abortion death of an Albuquerque woman last year. For the New Mexico Nursing Board investigation into illegal abortions performed by Planned Parenthood abortionist Vivianne Clark. For the upcoming 2018 New Mexico election. Abortion Free New Mexico has been asked to join in weekly prayer and fasting on Wednesday for an end to abortion in New Mexico until March 28th. We invite those in the body of Christ who are able to join us in this spiritual discipline to break the stronghold and spirit of death that surrounds us. 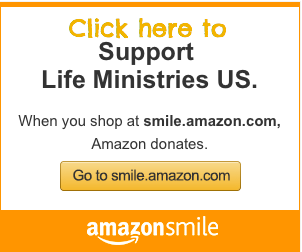 Albuquerque, NM- The Santa Fe New Mexican published an article on Sunday March 25, 2018, “On abortion, Pearce would mark shift to right in New Mexico” highlighting the pro-life credentials of Congressman Steve Pearce who is currently running unopposed as the republican candidate for Governor of New Mexico. Our concerns for New Mexico are not fringe, but common sense and reasonable for everyone. New Mexico’s ongoing crisis of being the unrestricted and unregulated late term abortion capital of the nation has been ignored for too long. The current Governor, Susana Martinez (R) was ill advised and took the wrong approach to addressing this crisis. Abortion Free New Mexico leaders have for years exposed the nation to the horrors of this reality and have led the charge in calling upon all of New Mexico’s leaders to use their positions as elected officials to stand on their principles and to stand up for the children of New Mexico. These children that are residing in the sanctuary of their mothers wombs are currently deprived of their most fundamental right, the sacred right to life. Steve Pearce cares not only for the protection of all of New Mexico’s children but also about the well being of New Mexico women who are left vulnerable to substandard care currently being subsidised by our tax dollars at unregulated New Mexico abortion mills. Now is the time to elect pro-life leaders in New Mexico who will act on behalf of pre-born babies and their mothers. Please consider how you can be a part of helping to get Steve Pearce elected as Governor of New Mexico. Visit his campaign website: PearceForNM.com and fill out the volunteer form to see how you can be involved. Albuquerque, NM- Sometimes it seems that evil continues to triumph especially in such a corrupt state like New Mexico. However, God is moving across our borders, Tara was encouraged this past week, while in Texas, by the next generation of young people who are passionately and boldly rising up to end abortion and ensure that every pre-born child is valued and protected. Last week our prayer and fasting campaign extended from New Mexico into Texas, the epicenter of legalized child killing in America and of Curtis Boyd’s child killing empire! 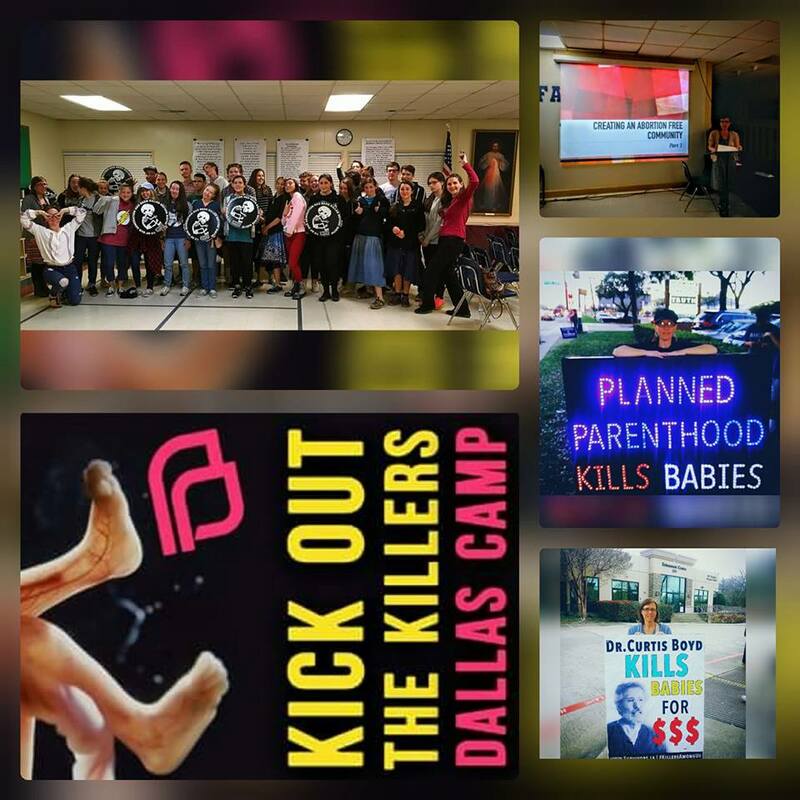 Tara was in Dallas, Texas with Survivors of the Abortion Holocaust, helping to train the next generation to take ownership and lead the charge to end abortion in America- in the very city that this injustice began. This could not be more timely, as pressure mounts against Curtis Boyd not only in New Mexico but last week also in Dallas, Texas, the birthplace of legalized abortion. The Dallas federal court case known as Roe v. Wade brought us abortion on demand. Dallas is also home to Curtis Boyd’s other abortion mill that he opened and operated illegally PRIOR to the 1973 Supreme court ruling! Thank you for standing with us for the babies and for seeking the Lord through prayer and fasting as we ask Him to break the strongholds that are keeping abortion in New Mexico. We know from Psalm 37 that there is no future for the wicked and we look forward to the day when there is no future for Curtis Boyd nor any abortionist in our state. Let us continue to faithfully pray and fast to fight this battle spiritually to end all abortions in New Mexico, we are trusting and believing that the Lord is already using this united effort to accomplish His will for our state.